Contemporary design is utilized to create the look of the Breaux Collection. The collection is offered in gray cover for ultimate design versatility, with sofa with end chaise, allowing for perfect placement within your living room. Reversible back cushions further the functionality and chrome legs support and lend to the modern design. 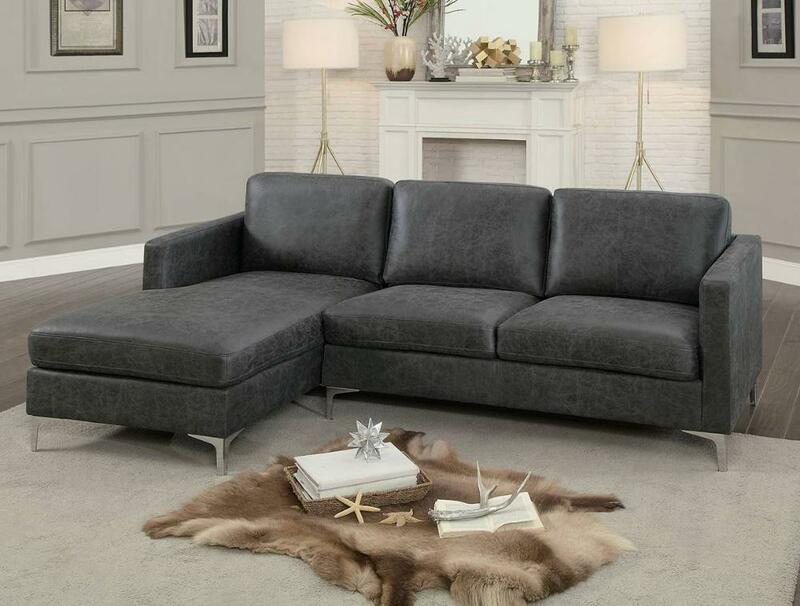 FEATURES: Gray Color ~ Contemporary / Modern Style ~ 100% Polyester Cover ~ Reversible Back Cushions ~ Chrome Legs.